Apparel accessories are those pieces which include sunglasses, face shields/buffs, gloves, and/or arm sleeves. 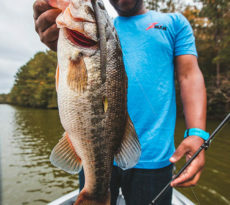 Hitting the water without apparel accessories can make for a brutal day, especially when the sun is baking or the bugs are out in full force. Check out these great selections of apparel accessories that we truly enjoyed at the ICAST 2016 show. If you’re anything like me, then you simply can’t be out on the water without a quality pair of sunglasses. Of course, you’ll rarely find me out on the water without a face shield either. This is how important apparel accessories are for the kayak angler. Apparel accessories not only help provide relief and comfort, but they also serve a purpose of safety. Our line of sunglasses and sportswear is designed by fishermen, for fishermen, and put to the test every day under intense conditions by some of the best sportfishing guides in the world . . . professionals that make their living guiding anglers to some of the greatest sportfishing opportunities in continental America. These tournament champions, along with millions of satisfied customers worldwide, have dubbed Flying Fisherman “The Pro’s Choice.” Polarized sunglasses are a must for fishing, whether in shallow or deep water, bright sun or overcast conditions, and Flying Fisherman® Sunglasses not only eliminate glare while increasing visual acuity, they help you see beneath the surface of the water, to spot fish and other structure. 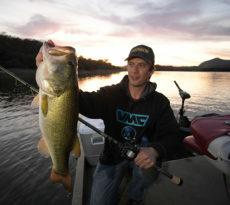 They’re put to the test daily by some of the best fishing guides in the world. You’ve tried the rest…now, try the best! New for 2017 and debuting this fall, Flying Fisherman’s Carysfort adds a sense of classic style to the Master Angler Sunglass Collection with a sleek combination of TR90 and nickel-silver metal frames. The large fit, square aviator frames offer anglers generous coverage from the elements, with adjustable nose pads for all-day comfort. Virtually indestructible, polycarbonate RhinoLenses™ give anglers complete eye protection from flying hooks, lures, sinkers and other debris, plus the Flying Fisherman® AcuTint™ lens coloring system for enhanced clarity and polarized, glare-blocking results on or off the water. Carysfort frame colors are matte gunmetal frames with matte black temples / smoke lenses, or shiny gold frames with matte tortoise temples / amber lenses. Timeless looks with premium fishing functionality. MSRP is $89.95 and includes a microfiber, drawstring case and a one year warranty. New for 2017, the Flying Fisherman DownSea offers anglers an edge with a large fit, lightweight TR90 frame featuring co-injected non-slip nose and temple pads for a stay-put fit. Virtually indestructible, polycarbonate RhinoLenses™ offers anglers shatterproof eye protection from flying hooks, lures, sinkers and more, plus the Flying Fisherman® AcuTint™ lens coloring system for enhanced optical clarity and 100% UV protection. Available this October, DownSea frame colors are Matte Black with smoke, blue mirror, or vermillion lenses and Matte Bronze with amber-gold mirror lenses. Superior performance for serious anglers! MSRP is an affordable $79.95 including a microfiber, drawstring case and one year warranty. 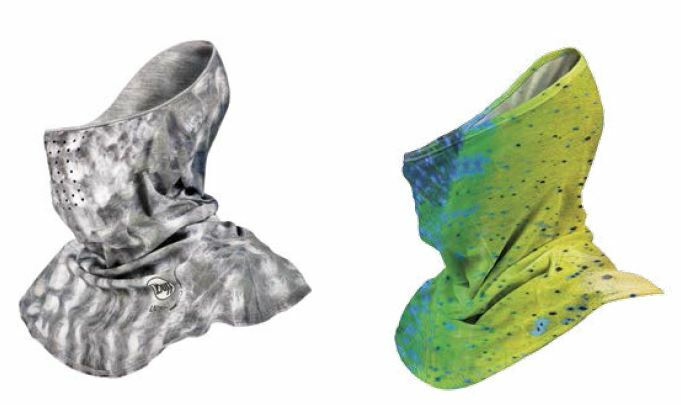 More than 20 years ago, BUFF® invented the tubular headwear category with our Original BUFF® product. As the outdoor industry has progressed, we have evolved with it, incorporating the latest in technical fabric innovations while remaining true to our heritage of quality and craftsmanship. It’s the reason that athletes and outdoor enthusiasts trust our products, and why BUFF® is the original multifunctional headwear. For serious protection from sunlight and water glare, these UPF 40+ sleeves block rays, wick moisture, dry quickly, and stay cool. The low profile design won’t impede casting or reeling, and the comfortable elastic cuff with silicone gripping dots hold the sleeve in place all day long. They pack up small so you can keep a pair in the boat, another with the tackle, and one stashed in your wader’s pocket. Durable, aquatic synthetic suede and reinforced seams allow the Pro Series Angler 3 Gloves to stand up to on-the-water wear and tear. Crafted with a pre-curved design for articulation, these gloves have a dexterous palm design to reduce bunching and Diamond Grip™ to increase grasping power. These half-finger-length gloves are breathable, quick-to-dry and protective against harsh, reflected rays. Updated with ultra lightweight fabric and contouring 2-way stretch, the new UVX Mask forms over the back of the head for an enhanced fit and streamlined look, shielding the neck and face on relentlessly sunny days. The ultra-light UVX fabric wicks and dries quickly and laser-cut breathing holes aid airflow and helps prevent sunglass fog. Wear it under a cap and tuck the bottom inside or outside a shirt for complete head and neck sun protection. The new category growth for Mustang Survival reflects Mustang Survival’s commitment to building the most reliable gear on the market. For fifty years, Mustang Survival has been engineering high-performance marine gear for military, coast guard, and rescue personnel. With a focus on applied research and field-testing, the brand remains steadfast in its commitment to the protection and enhancement of those who push themselves to extremes. The new glove and gear hauler offerings will allow Mustang Survival to provide higher performing and more comprehensive solutions for the most focused anglers. Built with premium materials for ultimate wet grip performance these new open finger gloves from Mustang Survival offer unmatched wet grip and abrasion resistance thanks to the AX Suede™ G-Series palm overlays. 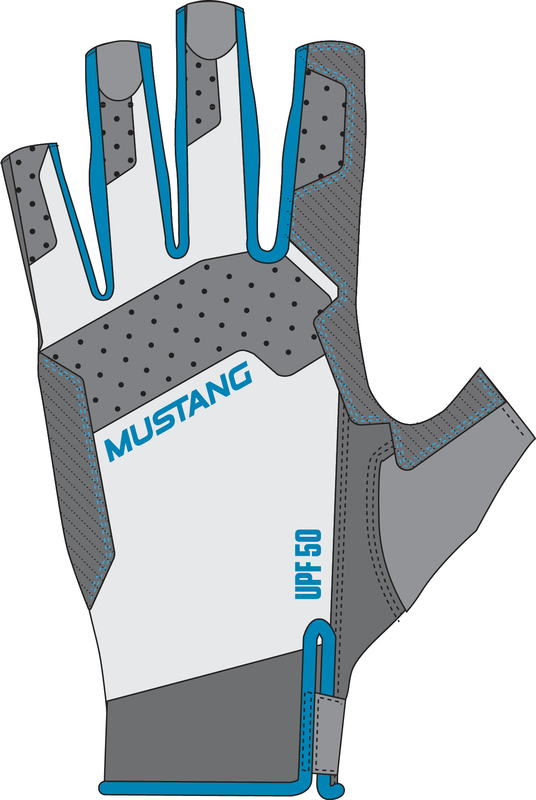 New for spring 2017 Mustang Survival is introducing lightweight and breathable UV fishing gloves to protect hands from constant sun exposure without added weight or bulk with UV treated yarns. In 1987, Wiley X, Inc. began its quest to become a world leader in the research, development and marketing of protective eyewear and gloves for military, law enforcement and civilian markets. Born on the battlefield by developing unparalleled relationships with U.S. Armed Forces and elite Special Forces units, Wiley X remains a standard issue item with many of these freedom protectors. Wiley X’s success quickly escalated when commercial markets that rely on impact resistance began to reach out due to the tremendous reputation Wiley X established within the military and law enforcement markets. These markets included sport hunting and shooting, motorcycle riding, fishing, hiking, biking and various extreme sports. Since then, Wiley X has set the benchmark for safety, style, and utility in the premium performance sunglass category by absolutely insisting that all adult premium eyewear products meet the ANSI Z87.1 safety standard for High Velocity / High Mass Impact. Our Youth Force™  line of sport protective eyewear meets ASTM F803 sports safety standards while also being designed for kids to wear all day long. Furthermore, it’s no secret that many models also meet various MIL-SPEC ballistic military standards for both goggles and spectacles. Climate Control™ WX Boss features the Wiley X’s patented, removable Facial Cavity™ seal to block out wind, airborne debris and reflected light while enhancing the fish-spotting benefits of Wiley X’s polarized lenses. 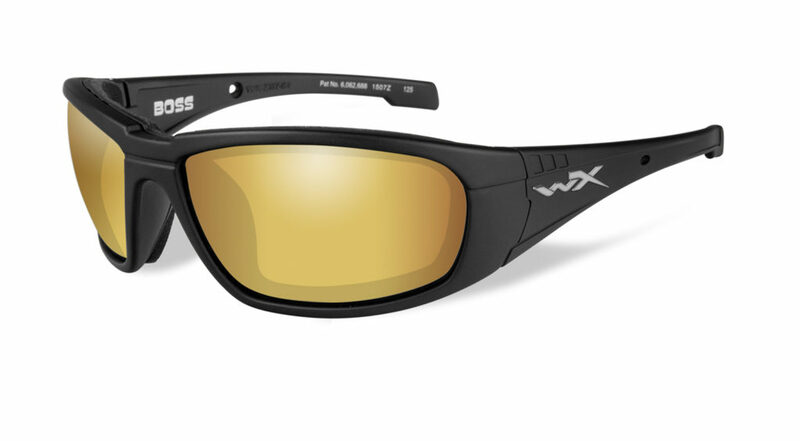 With its Matte Black frame and amber-tinted Gold Mirror lenses, the WX Boss gives anglers a unique combination of style and on-water performance. Lightweight and comfortable for all-day wear, the Rx-ready WX Boss is ideal for Medium to Large head sizes. Since 2008, BlackStrap has worked so provide the highest level of operations as a company. Our operations emphasize the continuing development in product technology and function; personal, professional & punctual service to our retailers and a dedication to USA based manufacturing. 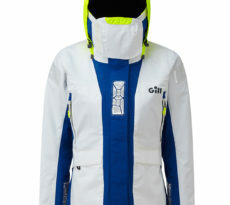 BlackStrap entered the snow/ski retail market in 2009 with a 3 product line that included The Hood, The Tube & the Bandanna. Each year the BlackStrap product range has developed to include a number of new products, each element of these products have been developed, tested and refined with the feedback from retail partners, consumers & the Worldwide BlackStrap R&D team(s). 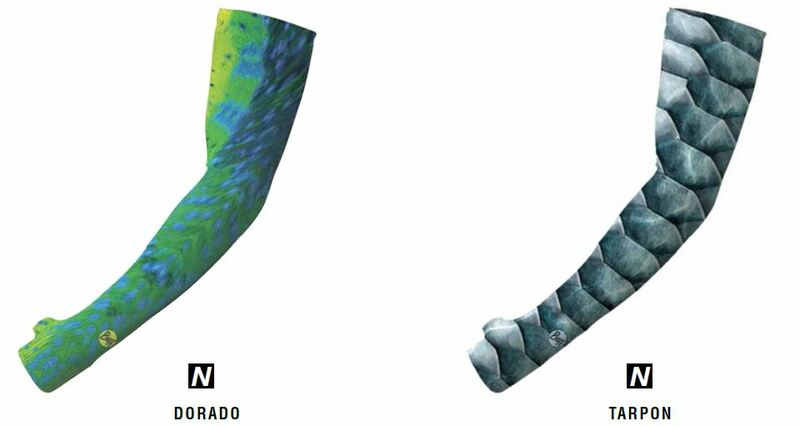 2014 marked the release of the BlackStrap Kids Line of Facegear. Staying true to our operational pillars, the BS Kids Line boasts the exact same technical features and product designs as our classic Adult Line, but gives the kids their own colorways and fit(s) to match the personas and sizes of the snow sports smallest sized participants! For 2015/16 retailers & consumers will see additions to both the warm end and cold end of our product spectrum. Building products based on the demand of the end user has always been important and we hope our new product additions resonate “new functionality”, each product serves a purpose and is designed to exceed expectations and set the standard for product quality, technological function & problem solving innovations. The BlackStrap Daily Tube is your multi-functional tool against the elements. Designed for the outdoors, this lightweight highly breathable piece keeps you cool in the blistering sun, dries quickly when damp and adds thermal warmth for cutting cold winds. Did we mention built in UV protection? Sunburns are now a thing of the past. The BlackStrap Daily Sleeve is designed with function in mind. Quickly becoming a popular solution for full UV and insect protection in the outdoors all while wearing a short sleeve shirt. This lightweight and highly breathable piece provides all day comfort outdoors. Did we mention our cool dry technology? Simply wet down this piece for hours of cooling relief. 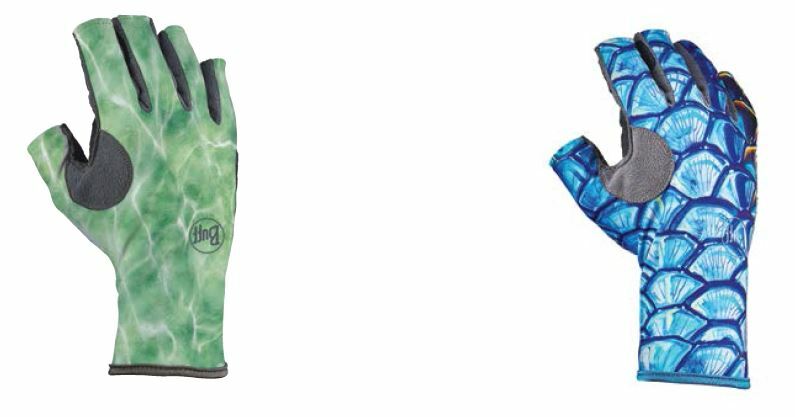 Fish Monkey is the marine industry’s first brand to offer a complete line of fishing, boating and watersports gloves. 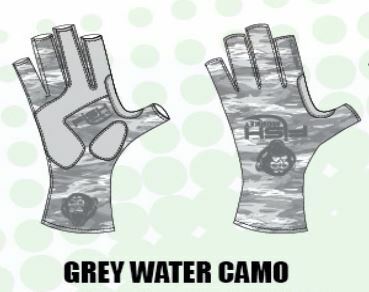 From heavy-duty leader gloves inspired by world-renowned deckhand Capt. Charles Perry to models for sun protection, angling and even disposable brands for bait rigging, boat maintenance and other chores, Fish Monkey has you covered. The various models incorporate high-tech fabrics like Kevlar and EVA rubber to prevent cuts, a sun protection factor of UPF 50, quick-drying four-way stretch fabric and a truly ergonomic design for the ultimate in comfort. Protect yourself and look good along the way. Reach for Fish Monkey. Professional fishing guides spend their days in the blazing sun nd so skin damage and even cancer is always a risk. 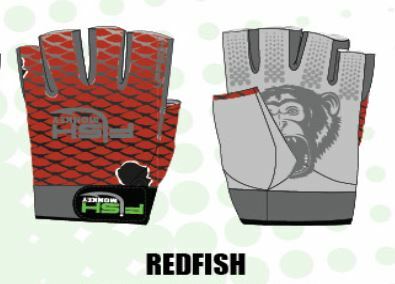 That’s why Fish Monkey introduced the Half Finger Guide Glove. It has a quick-drying fabric and synthetic leather palm plus SPF 50+ sun protection for the backs of the hands, always a vulnerable area. The “second skin fit” contours to the natural shape of the hands, while exposed fingertips mean great dexterity for boat and tackle management. 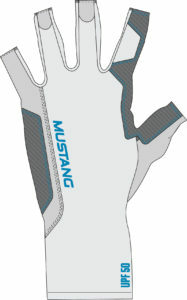 It’s a half finger guide glove with shortened fingers and shortened neoprene wrist. The Stubby is a natural on the water especially for those who want the protection but not the bulk. 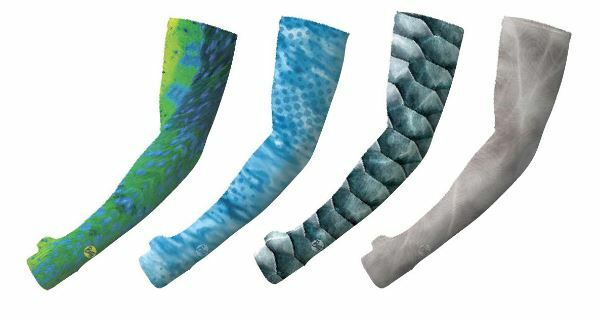 Use them for poling the boat, casting, releasing fish and more, thanks to the “second skin fit” and quick-drying breathable fabric. Popticals were created to solve the basic problem with wrap-around sport sunglasses: they aren’t portable. The company invented a solution by creating an innovative, patented design with a rail system that allows the lenses to slide parallel to each other or “spoon” for portable, safe storage on the go. The sunglasses easily expand from their small size to provide sunglasses for those who don’t want to sacrifice portability for quality. Popticals was founded with a spirit for innovation and adventure. With world-class nylon lenses manufactured by Carl Zeiss Vision, Popticals deliver high-performance sunglasses when you need them and a safe, compact place to store them when you don’t.